Larry bought a pass for Point Pelee this year, it has been a lot of fun. We've gone several times and throughly enjoyed it. 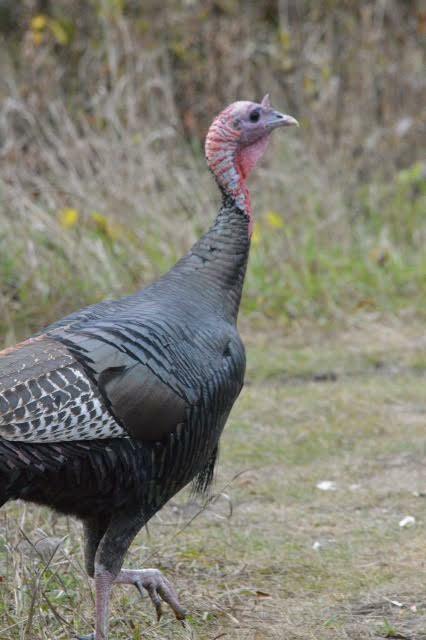 It's about 7km from the entrance gate to the visitors centre, and it's a good ride, lots of tree's and a winding road with the occasional spotting of wild life, last time it was wild turkey. Sometimes for a short ride, we take the scenic route and end up in the Leamington area, we've been known to stop at Birdie's Perch and lately we've added a fun ride through Point Pelee. Last time we were able to drive to the point, which is fun. We walked around the point for a bit, and just enjoyed our surroundings. 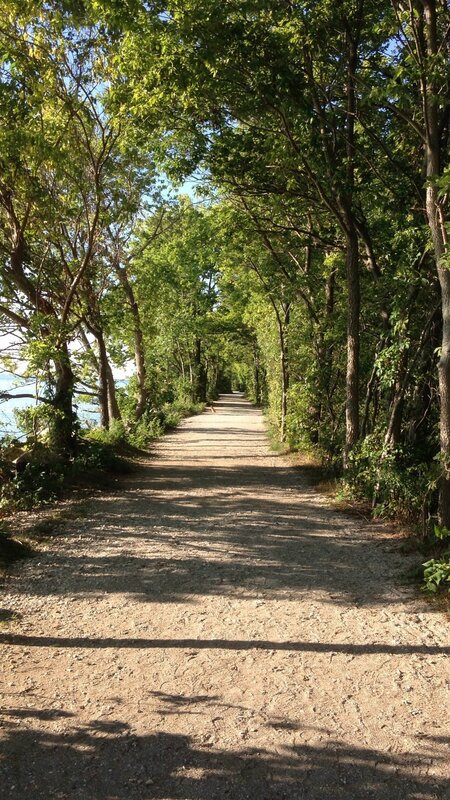 This path runs along Lake Erie, from the parking lot to the point, it was a great walk and felt good to move the muscles. It is usual treat for us to have this all to ourselves. It's been fun to take advantage of the beautiful weather and get some late day rides in.